There’s a pesky little bug in the kitchen! 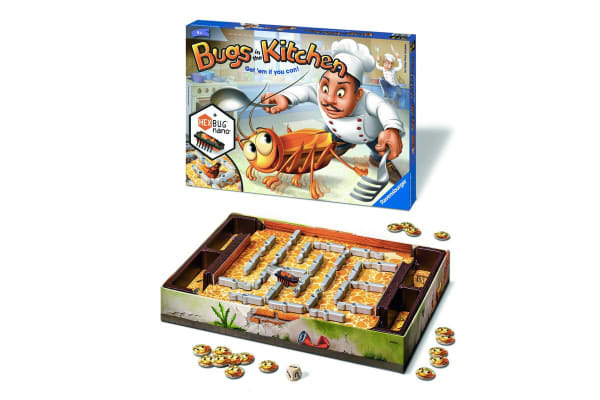 And it’s not just any bug – it’s an original HEXBUG nano, scuttling around the game board! Includes turning knives, forks and spoons you need to guide the bug into your trap. Throw the die to discover which utensils you can turn. Catch the bug in your trap and earn a token – the first player to collect 5 tokens wins the game, but you need to be super quick to catch the bug!